Residents of Dapchi, Yobe State yesterday waited in vain for the return of Leah Sheribu, the only girl still held captive by Boko Haram following the February 19, 2018 abduction of school girls in the town. Residents picked up information about Leah’s possible return at about noon. Boko Haram members were said to be on their way to the town with her. According to The Nation, moments after the information spread, some residents quickly went into hiding, some locked themselves up at home, while shop owners shut down. The streets were soon deserted for fear that the Boko Haram members might have a different agenda. 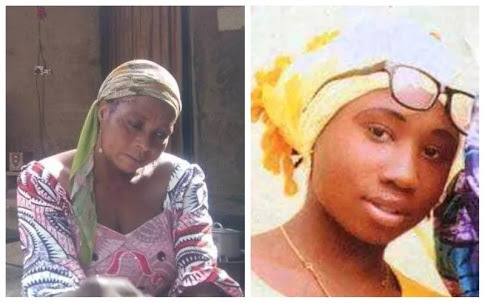 Residents of Dapchi, Yobe State are expecting the release of Leah Sheribu, the only girl still being held by Boko Haram insurgents who recently kidnapped some girls in the town and returned them on Wednesday. Some residents even went as far as posting on their Facebook pages detailing the location and the time the insurgents will arrive the expectant town. It all turned out to become a situation of waiting for Godot as Leah was nowhere in sight. It was observed that soldiers deployed to the town also withdrew from security check points on the road leading into and out of the town apparently to give the ‘visitors’ a smooth entry and exit. Police Inspector General Ibrahim Idris who was also scheduled to visit the town yesterday called it off. He told reporters in Maiduguri that Leah was expected to be released yesterday. His words: “I am supposed to go to Dapchi today (yesterday), but because I learnt that that schoolgirl, Leah, may be released today, that was why I had to shelve my trip to the town. “It is very understandable that is such circumstance one does not create too much security presence in the area in a manner that it could sabotage the efforts being made there. Leah’s father, Nathan Sheribu told The Nation that she was yet to be returned.